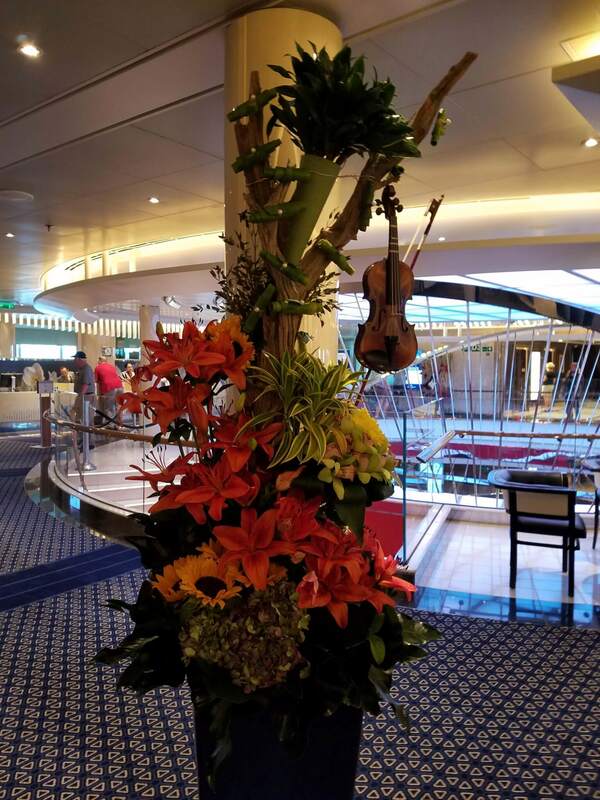 This past November Diana and I had the pleasure of sailing on Holland America’s newest ship, the Koningsdam. 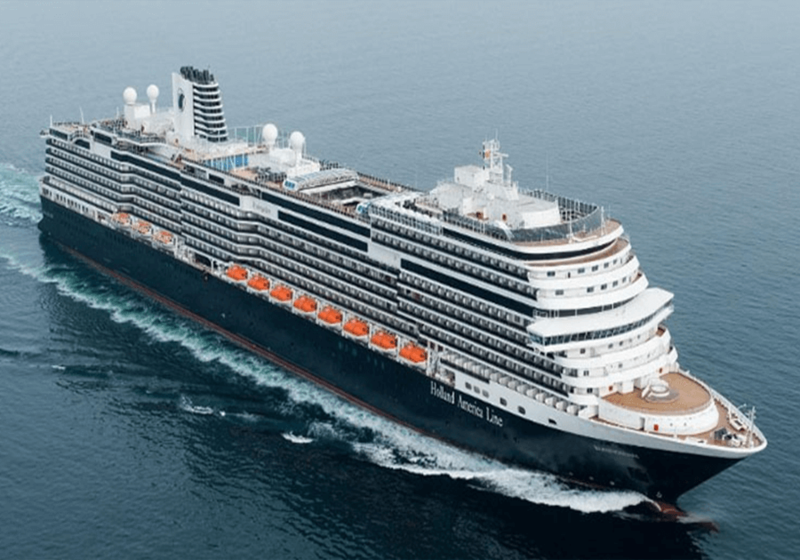 This 2,600 passenger ship is Holland America’s most contemporary ship yet, but still firmly anchored in their elegant style and tradition. 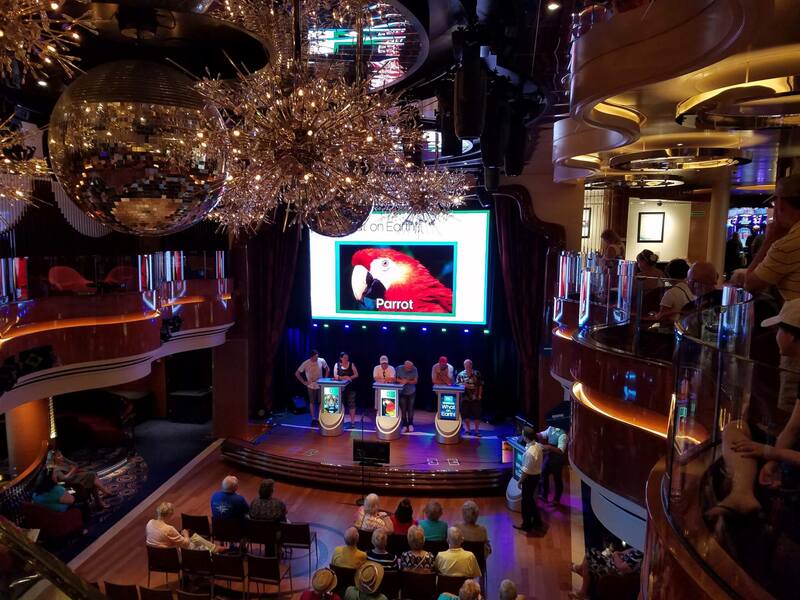 When Worldwide heard that the ship was going to feature a major architectural element throughout inspired by music, we quickly notified one of our clients who produces the Legendary Rhythm and Blues Cruise, and they became the first charterer. 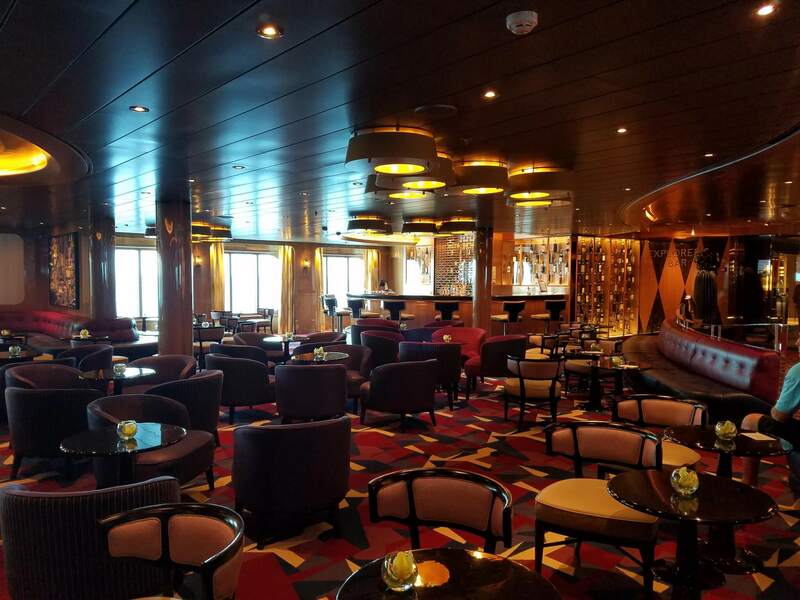 Upon seeing the end results at last year’s inaugural event, and working with the HAL technical team, we are happy to report two additional charters to this client on the Koningsdam. 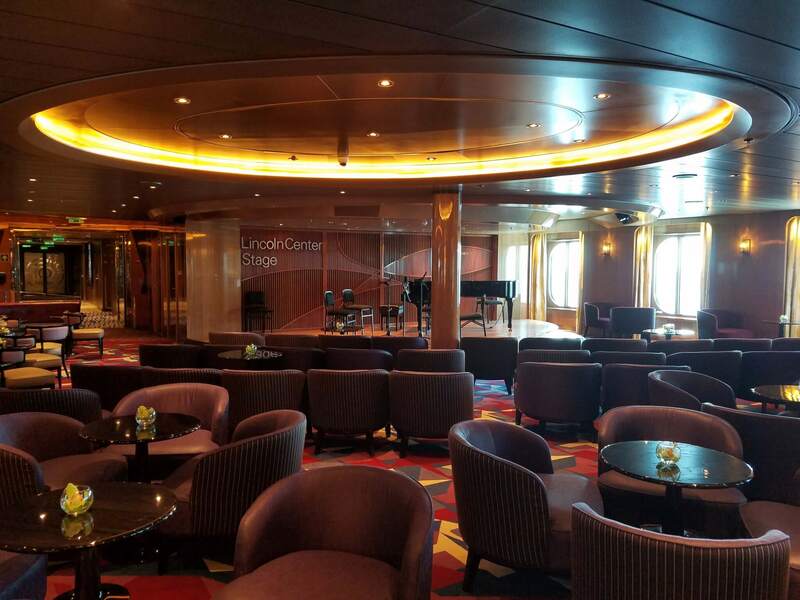 The musical elements are included in the carpeting design, numerous instruments on display throughout the ship, deck and public room names. 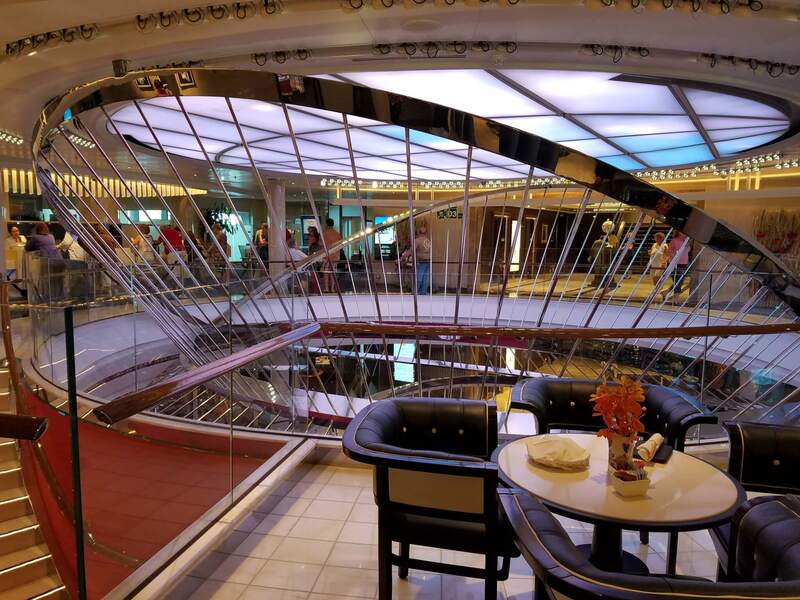 The most stunning of which is the Atrium’s stainless steel sculpture that is 3 decks tall and capped off by dramatic changing ceiling lighting. 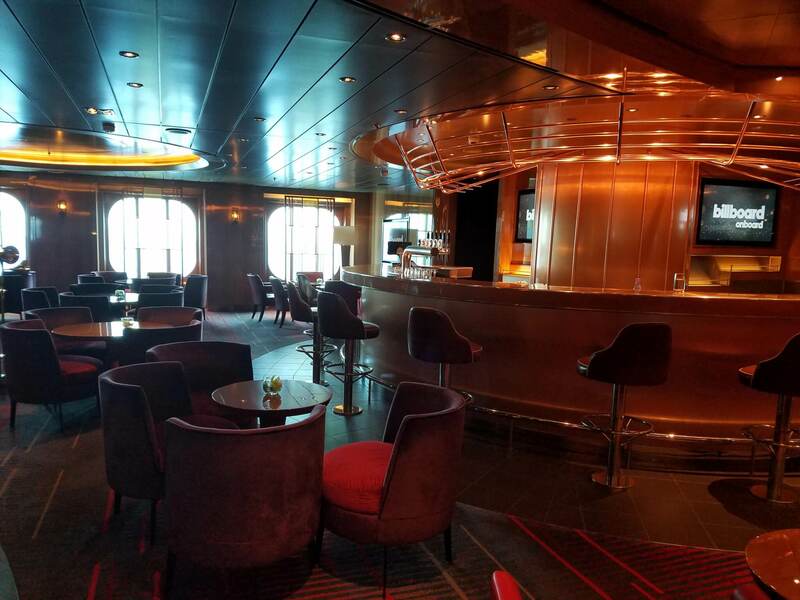 This ship for sure isn’t your Grandparents Holland America ship but still has the elegance and class that Holland America stands for. 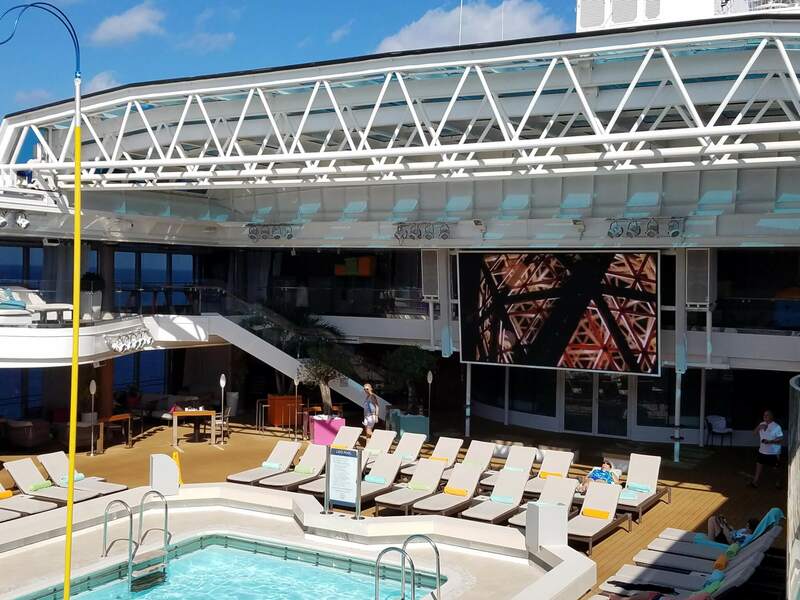 The contemporary colors, open areas, and fantastic deck space all point to a new younger feel on the Koningsdam. 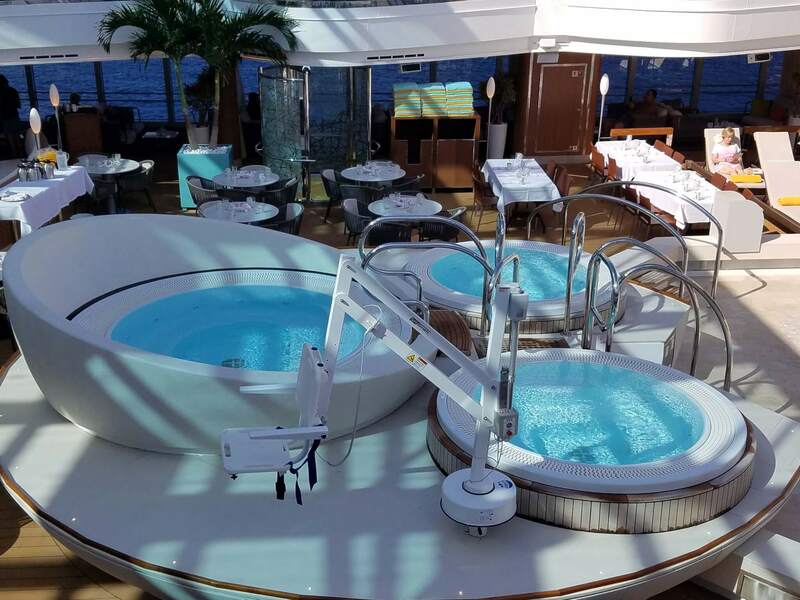 The traditional aft swimming pool now has two upper deck wings that are great for lounging and relaxing but still in the action. 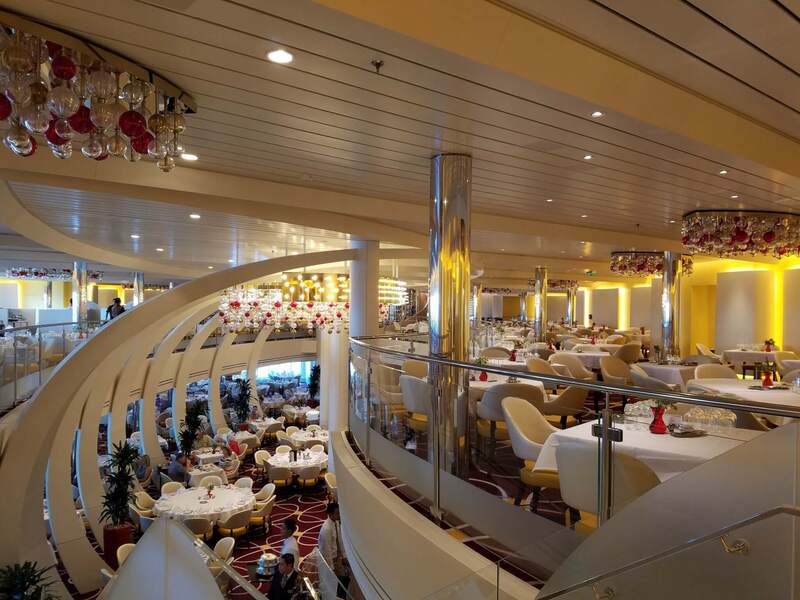 The mid ship pool has numerous new features, including more dining options. The Dive-In grill is serving what has to be the best burgers afloat (I think I foresee a battle of the burgers coming within the Carnival family). One deck up is the New York Deli & Pizza which is also a very popular outdoor dining addition. 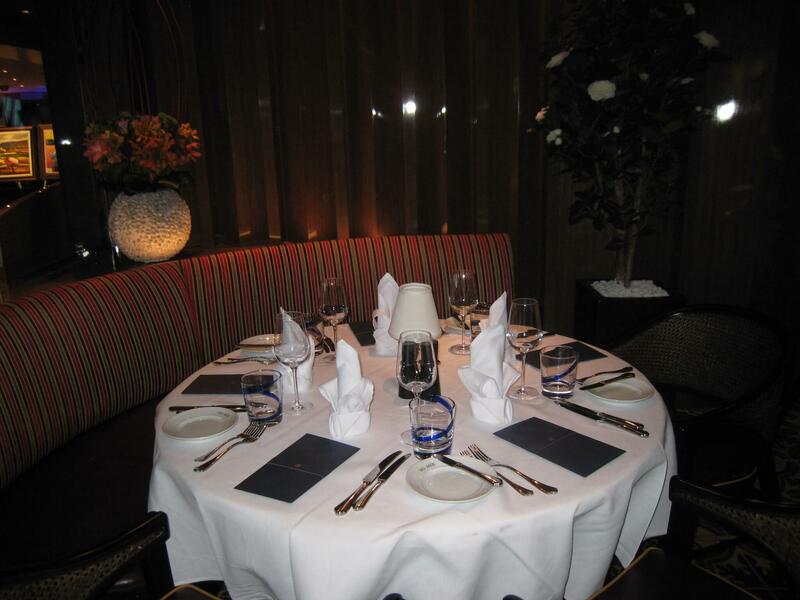 Continuing with dining options there are two new dinner dining concept venues. 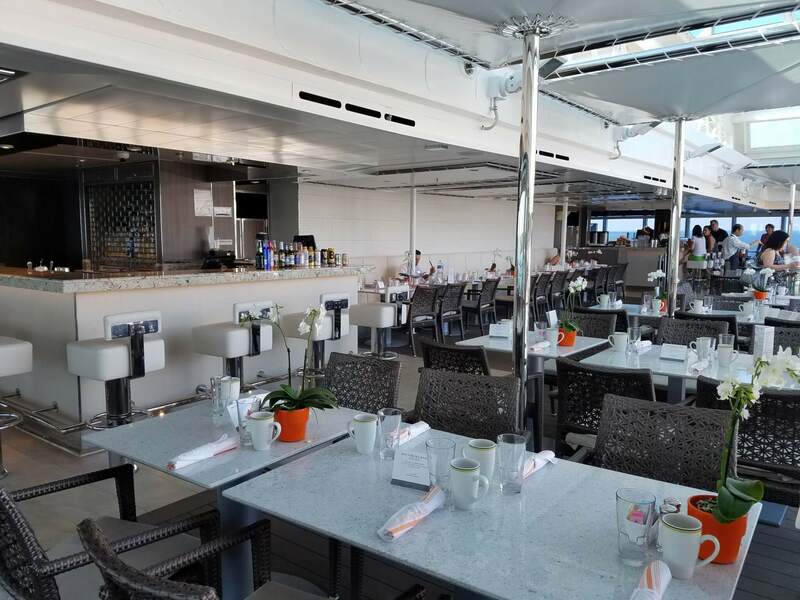 Sel de Mer is an “a la carte” Seafood restaurant that is wildly popular. 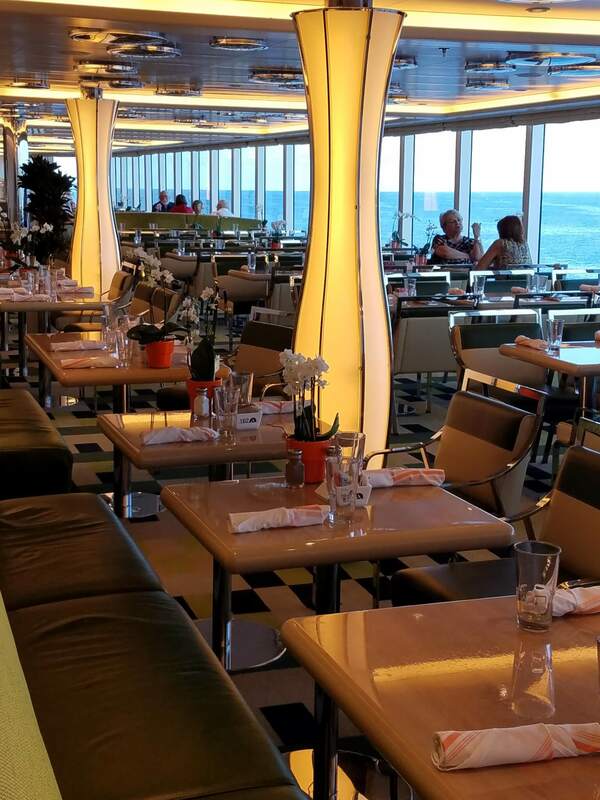 What a concept, a Seafood restaurant on a cruise ship! Fantastic food and really, really fresh seafood with a Parisian Bistro feel. Make reservations ASAP. The Culinary Arts Center Presented by Food & Wine Magazine is a Show Kitchen during the day, with usual demonstrations and lessons, but instead of being a dark room at night it turns into a trendy show kitchen with farm to table, complete with a fresh “garden” inside the restaurant, fixed menu dining venue with wine included in the price. 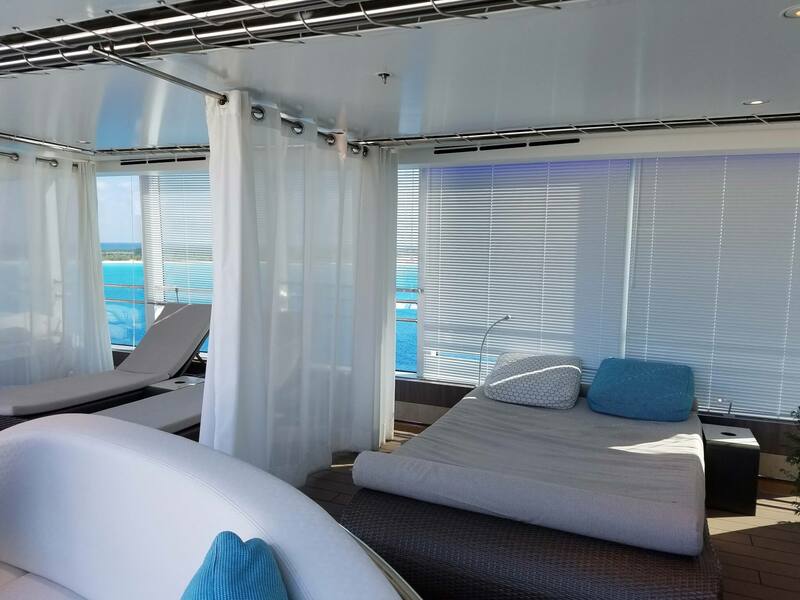 A great way to fully utilize this space which is front and center versus being a hidden venue like on so many other ships. 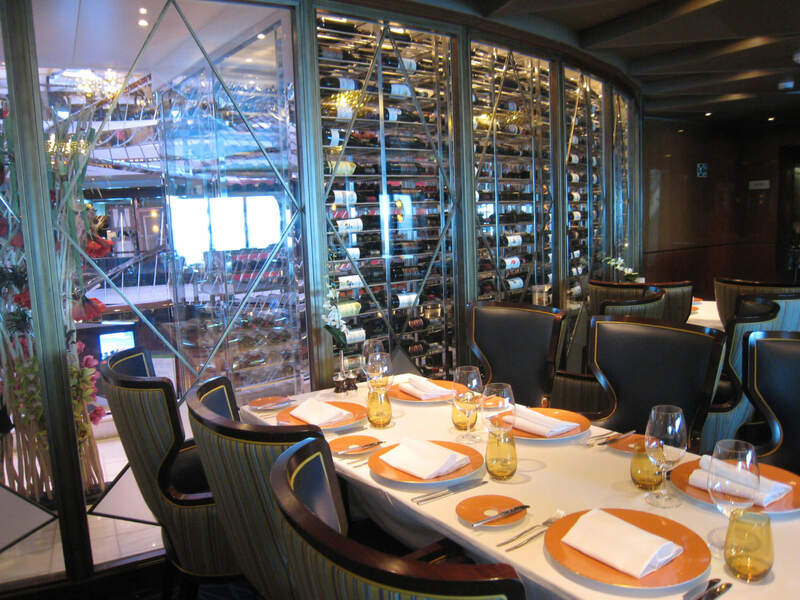 Other traditional up charge Holland America dining venues on the Koningsdam are the Pacific Northwest Steak and Seafood restaurant “The Pinnacle Grill”, the very popular Asian restaurant “Tamarind”, and the Italian dining option “Canaletto.” All of which are at an additional charge. The two level main dining room is a nice bright contemporary room offering both fixed and open seating options for breakfast, lunch and dinner. 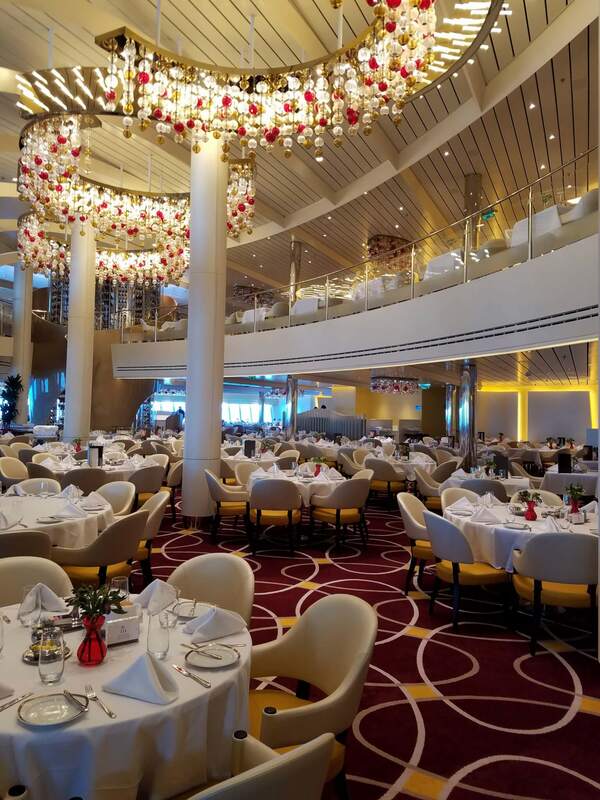 The Lido Market, Holland America’s buffet dining option, is one of the better buffets in the industry with flowers and silverware on the tables and very attentive service. Another addition is the Grand Dutch Cafe serving coffees and ever changing snacks depending on the time of day (no charge for the snacks). The Cafe has been decorated in Delftware colors and style and is a great meeting area. 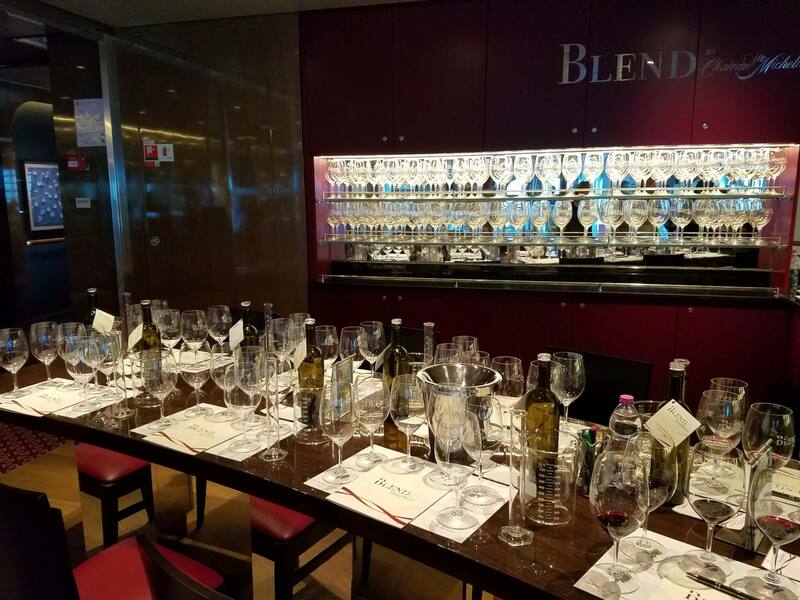 “Blended” is a unique wine experience perfect for a small group looking for something different. Guests can create their own wine based on their personal preferences. 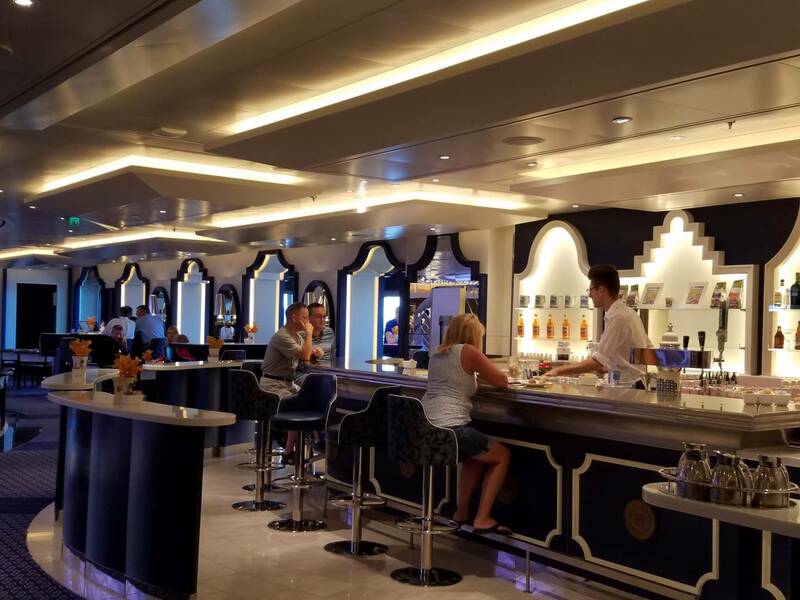 Holland America’s food on the Koningsdam is honestly a step above other Premium Class cruise lines. The food quality is exceptional, the menus offer great variety, the presentation is very good, and quite frankly is as good as some 5 star ships. 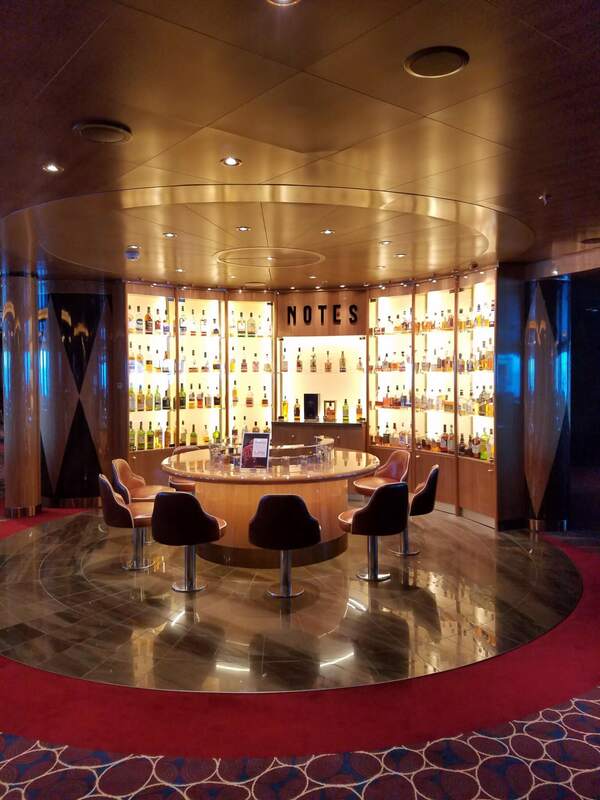 The service on the Koningsdam in the dining rooms, as well as throughout the ship, is in keeping with Holland America’s legendary reputation for service excellence. One final comment on F&B. Prior to this cruise I had the opportunity to cruise on 3 other ships almost in back to back fashion. One thing I really noticed is that HAL’s prices for coffees, bar beverage, and alternative dining outlets seemed much lower than their competitors. Nightly entertainment has also taken a more contemporary turn. Music Walk is comprised of three entertainment and adjoining lounge venues. They are present in conjunction with some of the best-known brands in the entertainment field. The two Level B.B. Kings All Stars presents an eight piece Memphis sound band every night. Billboard Onboard takes advantage of this brands history of top 40 music with a nightly DJ and dueling pianos. Lincoln Center Stage offers a variety of musicians playing in the afternoons and evenings. Something for everyone. The Main Showroom, World Stage, is a round theater with a 180-degree audio/visual HD presentation. We watched a Planet Earth presentation in conjunction with BBC covering Antarctica, done to music by the Holland America Orchestra. It was fantastic and you were totally immersed in the experience of sight and sound. 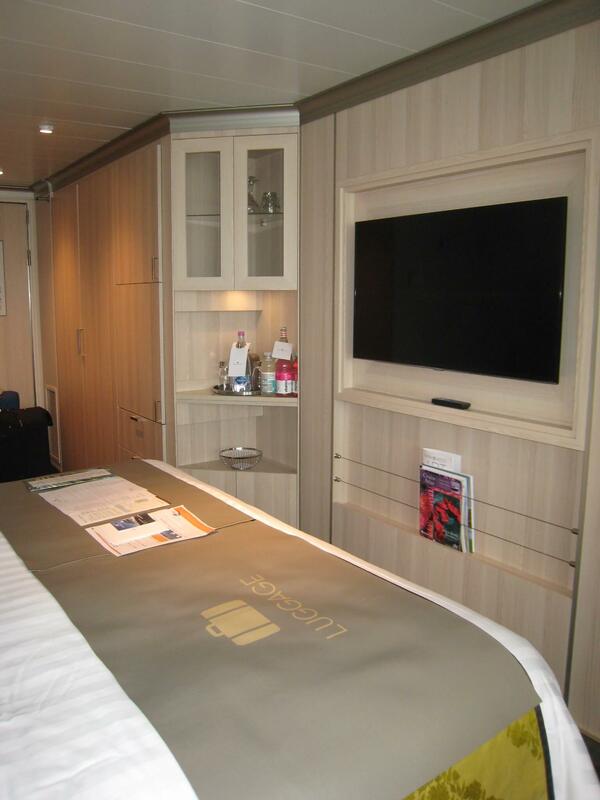 The rooms, as usual on a Holland America Ship, are larger than the normal with a separate sofa and sitting area. 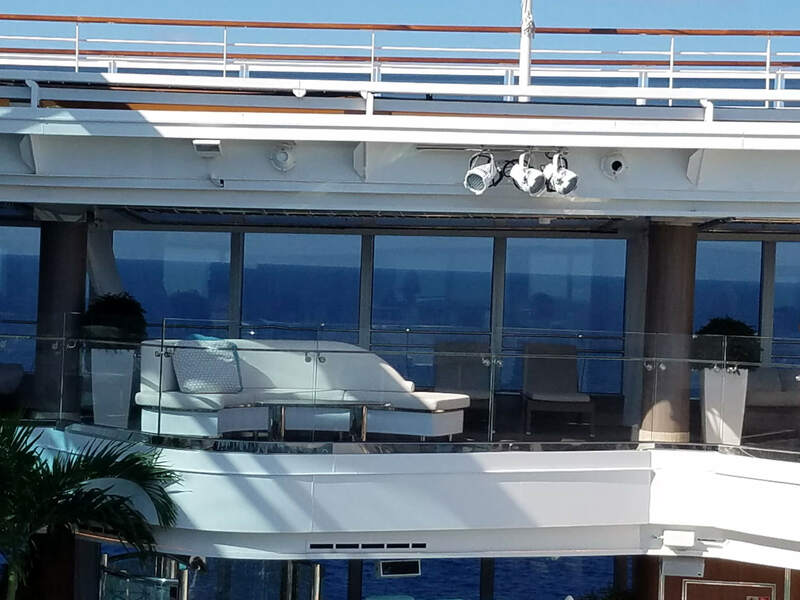 The Balconies are large enough to really enjoy your full breakfast with an ocean view.Of course the ship has the normal amenities of spa, gym, casino, shops, photo center and all of the other goodies.Fortunately the Koningsdam does have several meeting rooms that can accommodate moderate size meetings. 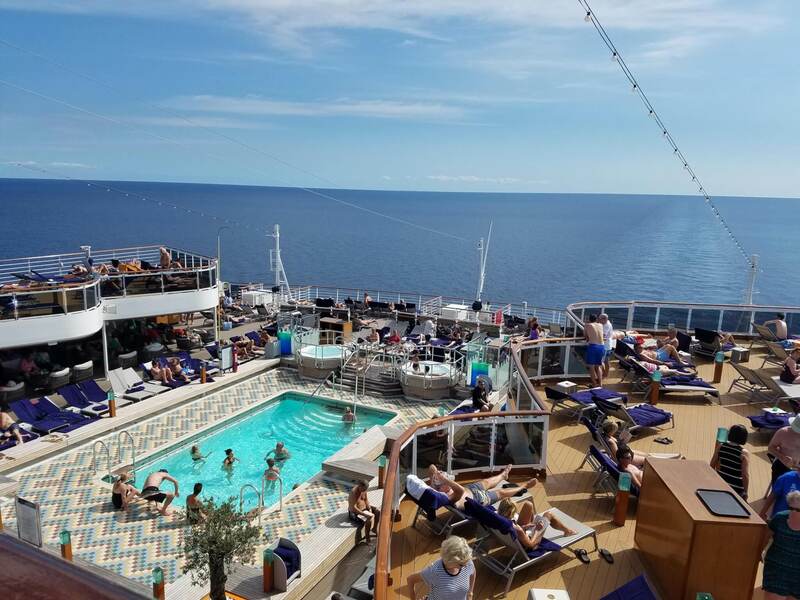 In summary we highly recommend the Koningsdam for any group who wants a traditional quality cruise experience with fine food and good service. Groups of all ages will find this ship very, very pleasing. 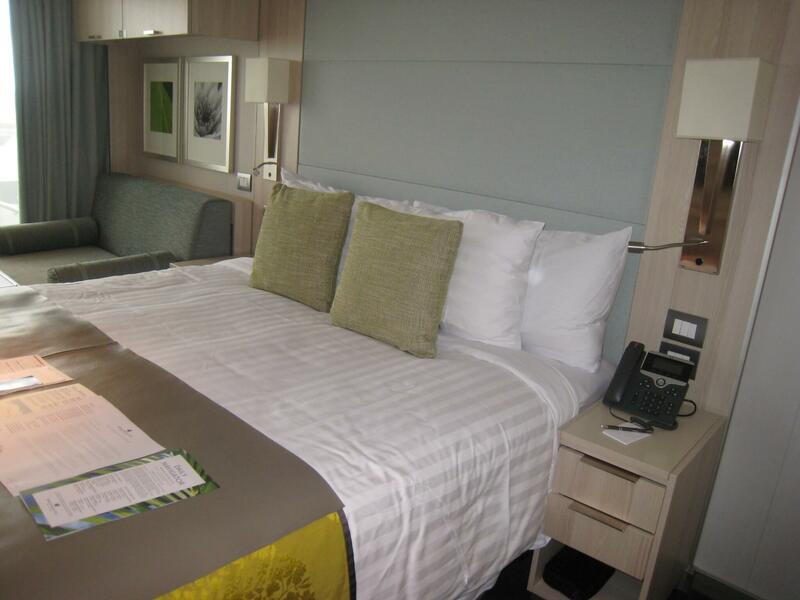 This report was prepared by Steve Bloss[1 954 452 8800 | sbloss@www.cruiseco.com] on January 5, 2017. The views expressed as solely those of the author and not necessarily those of WWTCA.